For the month of March, dog walkers won’t have to worry if they forget to bring poop bags to Trinity Bellwoods Park, in Toronto, Ontario, thanks to Mars Canada Inc.’s latest PEDIGREE® bus shelter campaign. 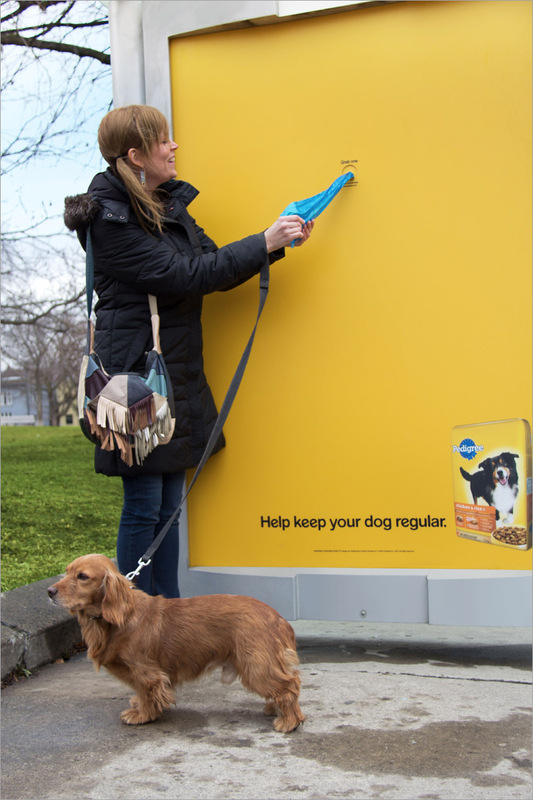 To help promote PEDIGREE® Chicken & Rice+ Dry Food with prebiotics, Proximity BBDO in Toronto developed the first-ever bus shelter ad that also dispenses poop bags. The idea was simple: When it comes to healthy digestion, the proof is in the poop. People walking their dog can grab a bag and put it to use. Most importantly, they can also give some thought to the quality of their dog’s “back end performance” while doing so. Headline in photo: Help keep your dog regular.